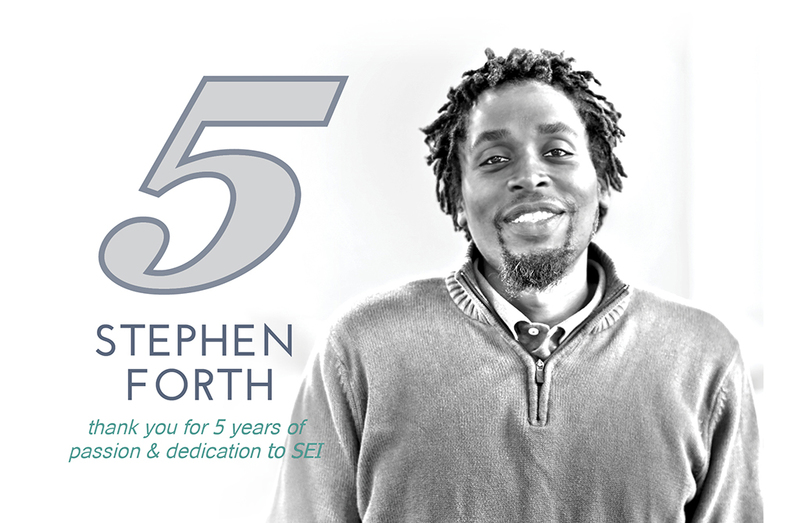 In February of 2019 we celebrate the 5 year anniversary of Stephen Forth! Stephen joined SEI after obtaining a Master of Architecture from Virginia Tech. He has been a vital member of our family as he has grown from a staff architect to now managing complex design projects. Congratulations Stephen! We appreciate everything you have done over the years.